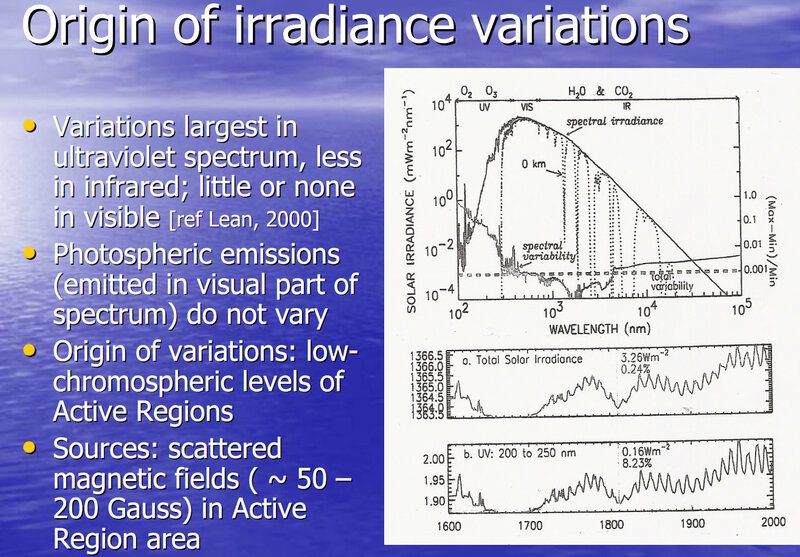 Dr. Cornelis de Jager is a renowned Netherlands solar physicist, past General Secretary of the International Astronomical Union, and author of several peer-reviewed studies examining the solar influence upon climate. 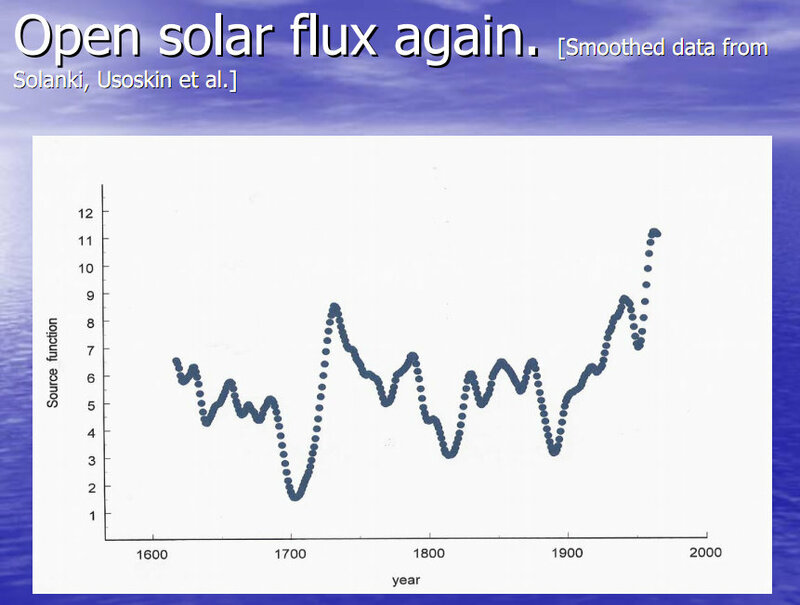 In response to the recent press release of three US studies indicating the Sun is entering a period of exceptionally low activity, Dr. de Jager references his publications of 2010 and prior indicating that this Grand Solar Minimum will be similar to the Maunder Minimum which caused the Little Ice Age, and prediction that this "deep minimum" will last until approximately the year 2100. "The new episode is a deep minimum. It will look similar to the Maunder Minimum, which lasted from 1620 to 1720...This new Grand Minimum will last until approximately 2100." 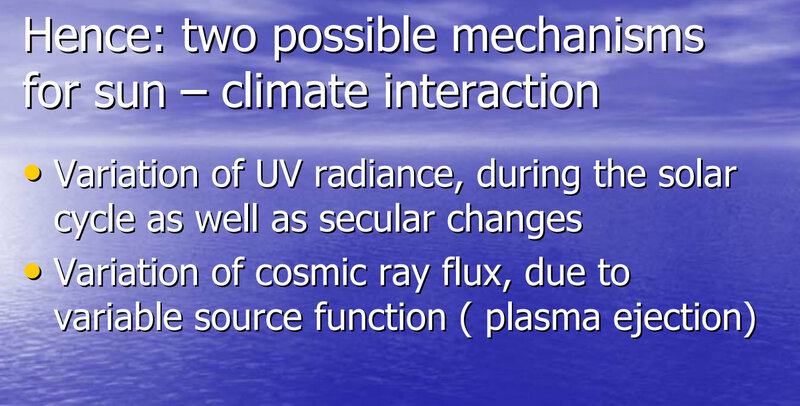 One mechanism which I have never seen discussed is the direct coupling of coronal currents in the sun into induced currents in the oceans coupled via the helio-geomagnetic transformer(s). Recent instrumental work has shown that the Spitzer resistivity is not the constant it was once thought to be and is in fact six orders of magnitude or so higher in flares and therefore very close to that of sea water. 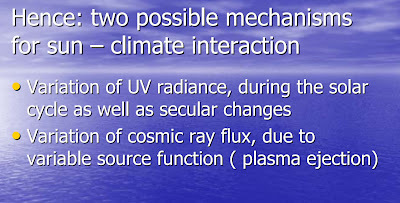 While resistivity isn't resistance such work does suggest the possibility that impedances could be more closely matched and by the maximum power transfer theorem there could be a more significant coupling of energy into the top few hundred meters (skin depth) of the oceans via this mechanism which would help buffer the climate through solar minima. However with lower solar activity and magnetic field strengths associated with grand minima this coupling would be reduced for long periods (polarity is also important). This would explain mini ice ages. A failing geomagnetic field such as we have now would eventually turn it off completely. 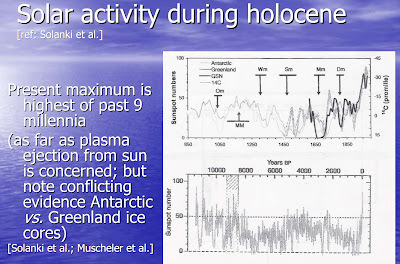 This gives us a possible trigger for full scale glaciations (ice ages) which would begin at some point during the weakening of the geomagnetic field strength associated with excursions and flips. The fine trigger would in effect be the weaking solar magnetic field associated with periods of low solar activity. 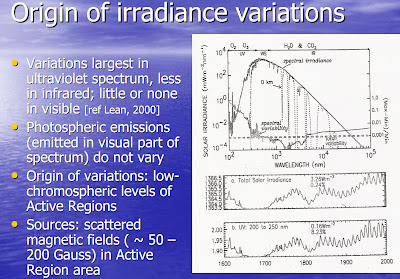 Does this mean the IPCC's AR5 will reflect the wealth of studies that place greater emphasis on the sun and not Co2 as the key driver of climate change? With the existence of persuasive peer reviewed studies indicating that climate change appears to due, ultimately, to the sun, while a lack of empirical evidence proving Co2 is the key driver of catastrophic man-made global warming and climate change is still lacking, how will the IPCC maintain the credibility of its mantra? 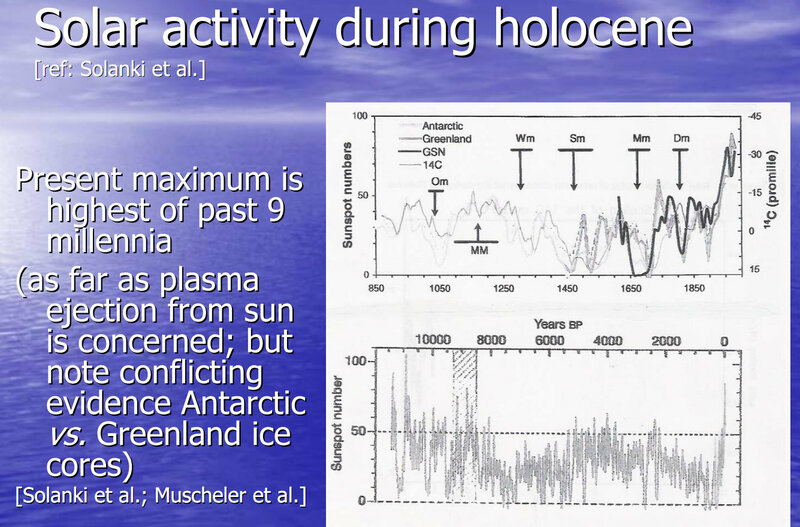 solar magnetic activity affects earths magnetic field, which in turn adds volcanic activity and plate tectonics. It would seem that the anon from 7:48PM on June 20 does not understand the meaning of the word mechanism. 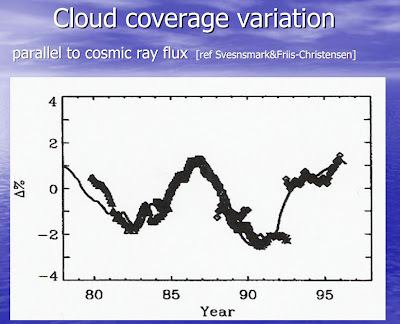 I've read the "doubling of the Sun’s coronal magnetic field during the past 100 years" cited in Dr. de Jager's paper is erroneous according to Leif Svalgaard IIRC. What are the discrepancies between researchers on this based on, supporting and refuting? We are only about 10 kelvin more than the temperature of a gray ball in our orbit . We've only seen about a 0.25% change of our temperature over the last century which is linear with , and about 1/21 the sun's . Our total "warming" would only require about a 15k increase in the sun's approximately 5800k temperature . I'm actually surprised , and thankful , the sun is as stable as it is . Q: how did you calculate average temp of the moon as I presume 5 C ? Please refer to Landscheidt's predictions. 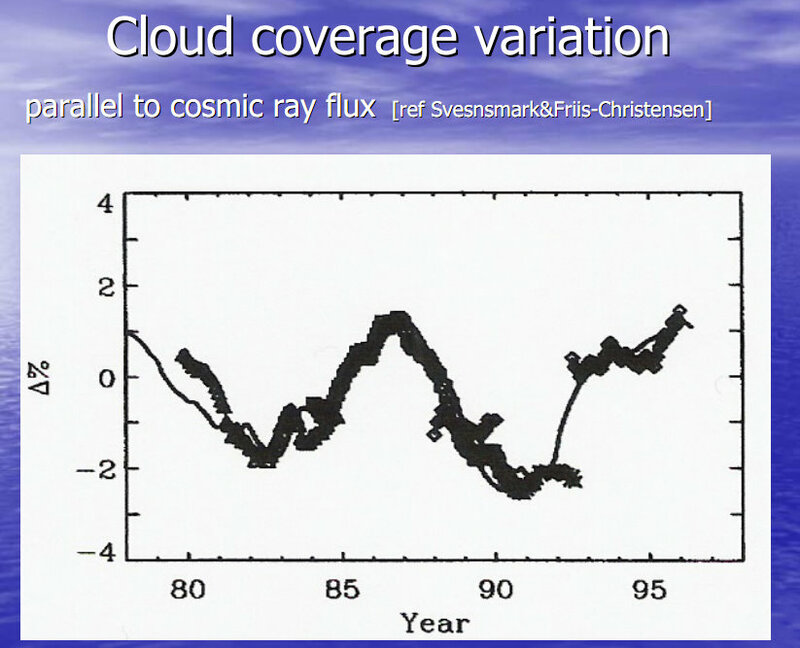 His correlations in solar output to solar system barycenter have been accurate and are showing to be true today. His work showed this 20 years ago. 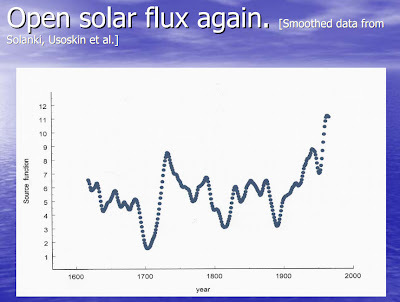 The current solar cycle through 2036 will have an extended minimum resulting cooling. Then an extended warming era will begin.